George Graham Reviews "Our New Orleans 2005"
It can be argued that no city has contributed more to forming uniquely American music styles than New Orleans. Jazz, blues, Creole, rock and soul are indelibly marked by the sounds that emanated from the unique cultural mix of a city founded in 1718. So beyond the human tragedy of Hurricane Katrina, music fans around the country and around the world have been especially saddened by the very real possibility that, whether the physical buildings are rebuilt or not, the scattering of the musicians who helped to define the city's unique and wide-ranging musical scene, and carried on the traditions, would result in a cultural loss that may never be recovered. The monumental scale of the human tragedy, especially in the wake of the breathtaking ineptitude of the government's response, has etched the story in the country's consciousness, with many seeking to provide whatever help they could. 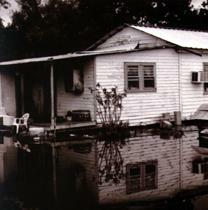 So many thousands lost everything, and in New Orleans, that includes the many musicians who lost their instruments and important documents, recordings and memorabilia as well as their homes. Musical fundraising events were almost inevitable, and a number have already been undertaken. This week, we have what I think will prove to be a milestone recording, a gathering of some of the Crescent City's most prominent musicians in a wonderful tribute to the city, in the spirit of that strange combination of grief and celebration that is embodied in a New Orleans funeral. The CD is simply called Our New Orleans 2005. And it features such Crescent City pillars as Allen Toussaint, Dr. John, Irma Thomas, the Preservation Hall Jazz Band and Eddie Bo. And because in the weeks following Katrina, Hurricane Rita mowed down Cajun country, Buckwheat Zydeco and Beausoleil are also represented. I say "gathering" of musicians, but it is only figurative -- the 16 tracks on this album were recorded all over the country, with many done in New York, a few in Louisiana, some in Texas, and one in Los Angeles. There are a variety of producers, from legendary jazz and soul producer Joel Dorn to Public Radio's Nick Spitzer. It epitomizes what very well may become the musical diaspora of New Orleans. But the music is glorious and at the same time incredibly poignant. Songs that have been around for decades suddenly take on completely new, and sometimes uncanny significance. Multi-artist benefit performances and recordings tend to be star-studded events more significant for who is present than the music created. Our New Orleans 2005 is different. There are many of the stalwarts of the New Orleans music scene, though none of them are the kind of superstars you'll read about in the tabloids. But all have a deep attachment and love for their city, whose music scene was decimated by the hurricane. At the time of the recordings, done on relatively short notice in September and October, most of the artists represented were refugees themselves. So every song they perform takes on a different, and often profound significance. Proceeds from the CD, by the way, will be donated to Habitat for Humanity, with special earmarks for the musicians who have lost their homes and livelihoods. Also remarkable about this recording is its sound quality. Though it was recorded in a variety of studios, the sound is generally superb, and wonderfully free from the heavy volume compression that has become the bane of current CDs. Veteran mastering engineer, Robert Ludwig, whose job it was to assemble the various tracks into a coherent recording, did a superb job. This CD's liner notes indicate that there is more material that these artists recorded for the sessions, so another volume is expected in the coming year. But in the meantime, Our New Orleans 2005 is one of the most significant and moving albums to be released in a very long time.